It feels like summer is half over, even though it just started! Some of us are looking at school right between the eyes! If you didn't quite make your weight loss goals yet, add these 5 tricks to help you achieve that 10 lb. weight loss goal before summer's end! I'm right there with you! I'm doing it too! This site uses both affiliate and non-affiliate links for reference purposes! Thank you for visiting! 1. Remember that slow and steady helps to win the race. When you lose too quickly the body is tricked into thinking there is a crisis and will go into crisis mode until you start eating "normally", or at least how the body perceives is normal for you. The body will strive hard to get you back to that "normal" weight. Basically that is why it is so dang hard to keep the weight off once you get to your target weight. When you lose just a couple pounds per week or even every couple weeks, the body doesn't perceive it as irregular and it will be easier to keep the weight off. 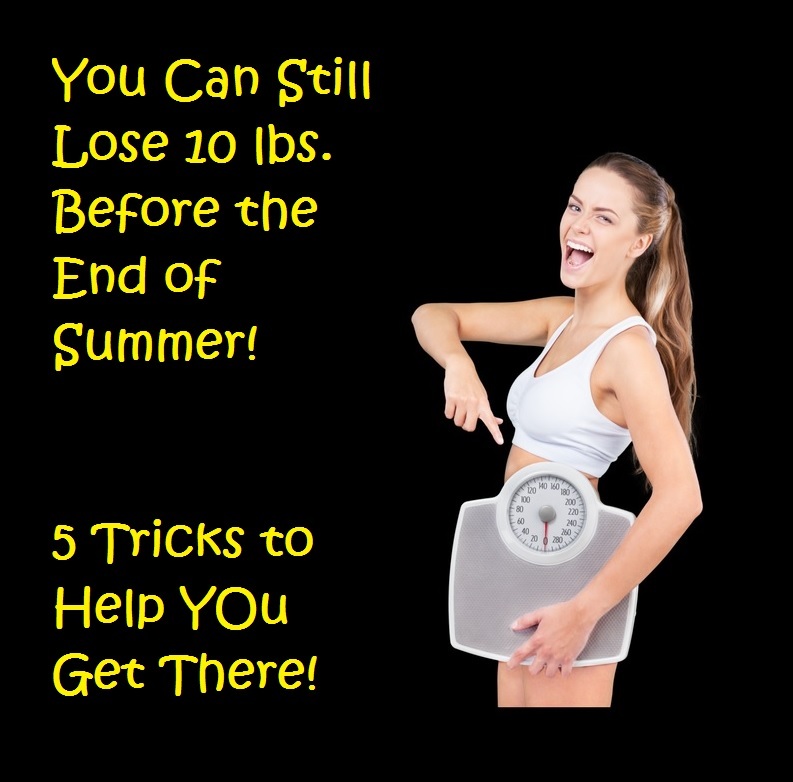 You're actually tricking the body into thinking nothing is amiss as you strive to lose a significant amount of weight a.k.a. 10 pounds! 2. Drink the water - Water is your friend regardless of whether or not you are trying to lose weight, but especially during the weight loss period. It helps you to feel full, flushes out fat cells, hydrates your skin and keeps everything working! 3. Plenty Of Fiber - Fiber is the cleanup crew. Since it isn't digested, you can bet it sweeps out other unwanted residue in your colon. Namely, toxins, fatty residue, undigested proteins and carbs--all things you don't want interfering in your quest to lose some lbs. 4. Probiotics Are The Secret Weapon - Although scientists haven't yet determined how or why, they have found that taking a quality probiotic will indeed tend to aid the body to flush out fat that otherwise would be absorbed and cause weight gain. 5. Weight bearing exercise - While you are losing that 10 pounds, it is really important to combine your eating plan with some kind of weight bearing exercise. It can even be your own weight because you can easily get strong by doing exercises that use your own body weight strategically to contract your main muscles. I recommend doing Tai Chi or yoga, constantly moving the body within challenging positions. You will be less likely to overdo it, and not injure important joints and tendons. Read my reviews on Essentrics, an awesome program that stretches and strengthens using your own body weight. A quick aside note about probiotics--I have learned that probiotics are so essential in the overall health of the body. First, you should prepare the body to absorb the probiotics by taking prebiotics. Now before you throw up your hands saying, "I'm done with all this nutritional supplement talk!" Prebiotics are not taken in supplement form! They are actual foods that encourage the growth of the good bacteria within the intestines when the probiotic is introduced into the system. Foods such as saurkraut, Korean Kimchi, plain yogurt, and apple cider vinegar are just a few ideas to get you started. 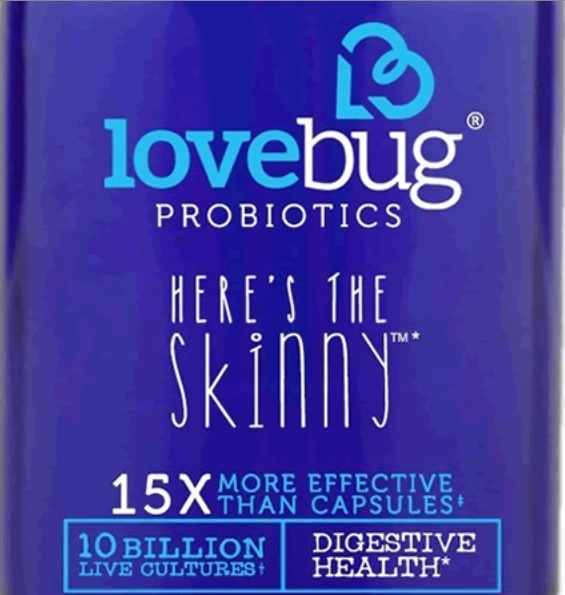 Next, make sure that you get a quality probiotic such as Love Bug's Here's The Skinny, which contains 5 strains of probiotic specifically targeted to healthy weight loss! They have taken the latest studies on probiotics role in healthy weight loss and formulated the perfect supplement! Science has recently isolated a specific strain of probiotic--Lactobacillus gasseri-- as a real weight loss work horse. 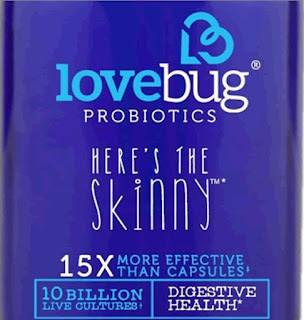 Love Bug's 'Here's The Skinny' has Lactobacillus gasseri, and 4 other amazing probiotic strains that will carry you through your weight loss journey with ease. 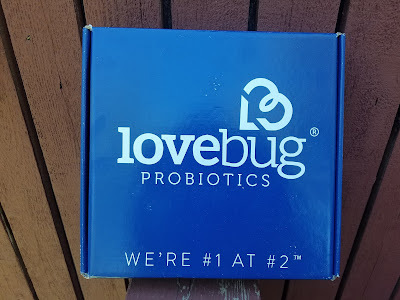 Also, "LoveBug Probiotics harnesses the power of BIO-tract®, a technology that protects the organisms in each Here’s the Skinny tablet, to attain up to 15 times the viability of other supplements." You can get a full month free trial by visiting their site! My own box of lovebug probiotics with 3 bottles of tiny little lovebugs! I'm very impressed with these and other quality probiotics for increased health and vitality! My only word of caution is that you do your research, and don't settle for the weekend special at your local discount store until you validate the company to be reputable and has research-backed products! As for my own weight loss journey, I am sticking with the slow and steady method. I've lost a total of 2 lbs. in the past 2 weeks! I love taking the Love Bug probiotics and I prefer the slow and steady weight loss method because I know in the long run, it will be weight that stays off! Have I left out any great tips for permanent weight loss? What have you found to be a safe and good weight loss hack?